Music. A vibrational, harmonic event set in time. Now that sounds fancy but it’s actually quite simple. Think of it as a connection. A connection that wasn’t there before someone tapped a drum, sang a note or strummed some strings. 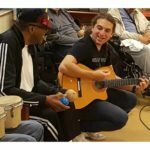 We as a society can use these connections to bring the healing power of music to those who need it. 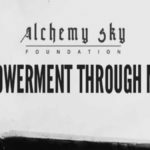 That’s why I started the Alchemy Sky Foundation. It doesn’t matter if you are at your child’s recital, at a concert, or, like me, singing wildly off key to a song you’d never admit to liking in the privacy of your car heading down the road. 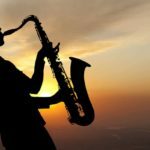 Because music at its essence is connection, it means that we’re never completely alone. It also reminds us that, on some level, we’re all in this together. Music is proof that we have more in common than we do in difference. We’re all broken. In some spot, in some place, we’re cracked. That is the Inherent Bug in our Grand Software. I firmly believe that the power of music and the connection it fosters can help within the space of those cracks. It can help put us back together and know that we don’t have to do it alone. It’s hope we can dance to. You can check out our research tab at top of the home page (under Updates) to get the nitty gritty on the science behind it. The advances in improving Alzheimer’s, stroke and traumatic brain injuries just to name a few are increasingly hopeful. Read Oliver Sack’s book, Musicophilia, describing unbelievable stories of mystery and magic that only music could muster. Or you can just remember a time in your life when music made it better. 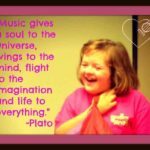 Our purpose is to bring the healing power of music to those who need it.